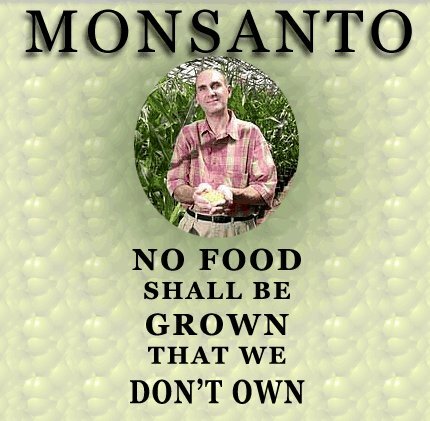 I was shocked to read a story in Canada’s highly conservative national newspaper, The Globe and Mail, a couple of days ago in which well-known investor and columnist Chris Umiastowski, P.Eng., MBA, warned of the risk in holding Monsanto stock. It was refreshing to read the views of an investor who is not just concerned about the bottom line but also the potential health and environmental risks in such a conservative paper. I knew that this was a victory-of-sorts for all of us who share a concern over the increasingly genetically-modified nature of our food supply. In his column, “Monsanto: A food stock with a bad aftertaste,” he shares: “it’s just as important to know what stocks to avoid as it is to know which ones to invest in. Most growth trends don’t last forever and you don’t want to be stuck holding the bag when growth disappears or reverses.” Here is an investor who is recognizing the “battle raging between consumers and Monsanto” that could leave fallout for investors left holding the bag when consumers take back their right to know what is contained in the food they eat. While labelling of GM-foods is not legally required in Canada or in the United States, consumer groups are gradually certifying an increasing number of foods as “GM-Free” as a way to take back a right that regulators are not recognizing that we deserve. Consumers are waging a peaceful revolution against Monsanto and other GM-food suppliers as well as the government agencies that turn a blind eye to the environmental and health ramifications of GM-foods and crops. As an aside: European governments have been more progressive in recognizing the human right to know when our food supply has been tampered with and many countries there consider labeling of GM foods standard practice. But back to the article I read: This investor admits that he normally writes about technology stocks and trends, adding “you may not realize that what we feed ourselves and our families has a lot of biotechnology baked into it.” Corn, soy, canola, and many other crops are increasingly genetically-modified. Even tomatoes are turning into Frankenfoods at the hands of agribusiness (Check out my article 11 Reasons to Love Tomatoes, no genetically-engineering is not one of them). Most of these thoughts may not sound like news to environmentalists and health-conscious readers of Care2.com, but having both a top national investor and a leading conservative paper publish these views is what makes this article stand out for me. And since not enough people are really aware of the stocks held in their pension plans, mutual funds, and other investment portfolios, it’s a call to action to literally, put your money where your mouth is, so to speak.